← “Almost as messy as my stall…”, Newt. The lights look great!!! How did the cookies taste?? 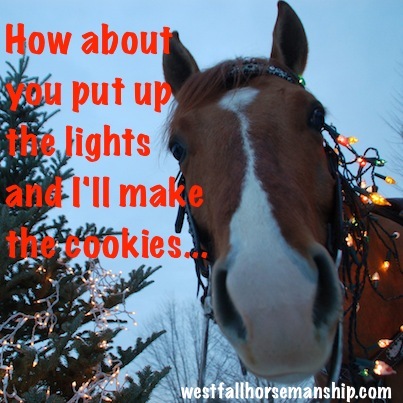 Pat- I decided Newt in the kitchen would be even messier than Newt in his stall…or with the lights! Merry Christmas to YOU and yours. I bet it will be exciting with all the little ones around this year! They are getting old enough to really start to enjoy!